It is still a little unclear exactly who is going to be playing James Bond in the next edition of the classic spy franchise, but James Bond 25 has just taken a very reassuring step forward. The writing duo of Neal Purvis and Robert Wade have signed on to write the next movie, who also wrote Spectre and several other Bond movies. When it comes to Daniel Craig and whether or not he'll be back with a Walther PPK in his hand and a mission on his mind, that's another story. The news comes courtesy of journalist Baz Bamigboye, who writes for The Daily Mail. He took to his Twitter account recently to declare that Neal Purvis and Robert Wade have officially signed on to write the follow-up to Spectre. That should be somewhat assuring to long-time 007 fans, as they have been a staple of the franchise since The World is Not Enough in 1999. Here is what Baz Bamigboye had to say about it. "Writers #nealpurvis & #robertwade hired to write story for #Bond25. 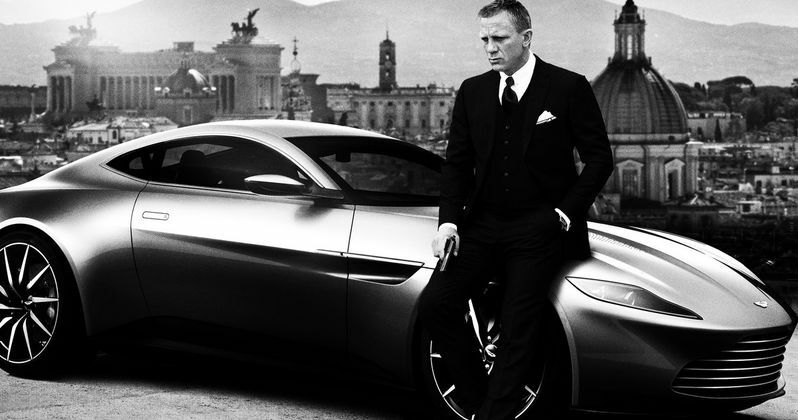 #DanielCraig still deciding whether he will do it." Having writers in place is definitely a good thing because that means we are finally getting some movement on James Bond 25, which has been more or less stagnant since Spectre was released in November 2015. The issue with this information, which has really been the big issue for more than a year, is that Daniel Craig appears to still be undecided. However, the man playing /james-bond-panic-daniel-craig-undecided/007 next time around will surely have a tremendous affect on the story, so it would stand to reason that the producers have a pretty good idea of who will be suiting up for MI6 this time around. If it is Daniel Craig, they will probably be continuing the storyline that was left somewhat open at the end of Spectre. If it's someone else, they will probably be doing a soft (or very hard) reboot of some kind, which the franchise has done plenty of times in the past. As for Purvis and Wade, they have written a total of six James Bond movies prior to this, only once without at least some help. John Logan has also been credited on several of their more recent entries. Their movies include The World is Not Enough, Die Another Day, Casino Royale, Quantum of Solace, Skyfall and Spectre. There is no doubt that is a mixed resume in regards to the quality of each movie, but it is hard to know exactly how much of that had to do with the script, at least their part of it. Die Another Day is generally considered to be one of the worst James Bond movies ever made whereas Casino Royale and Skyfall rank up there with the best the series has ever produced. So we can only hope the better version of Neil Purvis and Robert Wade show up this time around. We also reported not too long ago that James Bond 25 was in final negotiations to shoot in Croatia, possibly later this year. So it seems like things are moving in the right direction. If Daniel Craig doesn't come back, names like Michael Fassbender, Tom Hiddleston, Aidan Turner and Idris Elba have all been brought up. Tom Hardy recently expressed interest in possibly taking on the role if Christopher Nolan were in the director's chair. We'll have to see, but either way, James Bond 25 seems to be picking up momentum, so we should know soon enough.